What led you to start Olacabs? I graduated from IIT Bombay (IIT-B) with an engineering degree in Computer Science and worked with Microsoft Research India for a couple of years. However, I always wanted to start something of my own. I have always used cabs and had a few unpleasant experiences in the past, mainly on the reliability of the service. This set me thinking about using technology to iron out issues in this industry. This led to us – a fellow alumnus of IIT-B, Ankit Bhati, and me – starting Olacabs in January 2011! We leverage technology to offer a highly predictable, efficient and customer friendly cab service. We believe that we will be able to add a lot of value both for the customer as well as the cab operator and our experience has confirmed this. With the market dominated by major players, what makes Olacabs different? We were the pioneers of the aggregation model in India and are now the largest cab network as well. Also, our technology expertise differentiates us. We have developed innovative apps (Android and iPhone) that enable customers to view and book Olacabs in real-time. The app shows all the available Olacabs near the customer, on a map. With one touch, a customer can book from his current location on the app or plan for later, also from a different location if need be. The closest cab automatically gets the customer’s details and a high quality Ola is on its way within the ETA shared on the app with the customer. With Indian customers having faced repeated instances of missing cabs due to dropping of their booking by the cab company, call center troubles, problems with the cab or traffic woes; the app aims to place real time information and control in the hands of the customers, thereby removing uncertainty and anxiety regarding whether the cab they have booked will reach them and be on time. Our back-end technology is another big differentiator. We have run analytics on the GPS and pickup and drop data collected by our cabs over years to develop a system with predictive capabilities that helps us in using our inventory better. Through our system, we are able to analyse the demand patterns in a city and our system feeds this intelligence back to our drivers thereby increasing their chances of finding a customer and reducing idle time. We also offer services like SMS tracker through which a person can get an update about the whereabouts of his cab through a simple missed call. We have introduced Ola money using which customers can recharge their Ola accounts and the travel amount can be deducted directly from their account thereby removing the hassle of finding change/paying the driver etc. after the ride. With over 9,000 cars on our platform, we are currently India’s largest cab network! What was the reason behind launching Ola Mini? Was this a conscious effort to take on the three-wheeler market head on? We wish to solve people’s everyday commute problems by offering reliable and inexpensive means of transport. There is a huge market for the same and hence we launched at Rs 13/km in Bangalore. What is your take on the aggregation model v/s ownership? Through aggregation, we solve both these issues with a bottom line for the operator – better business coming his way. In terms of profitability (revenues earned, expenditure required, time required for breakeven) – an average operator gets at least gets 60-70% more bookings on getting attached with Ola. More than that, there are multiple ways he can work with Ola- no. of hours, kms, shifts etc. This makes more business sense for him overall. In terms of a better life for drivers (number of hours served, salary received, other initiatives by the company) – Drivers are trained well (behaviorally and functionally). While we are liberal in our approach and treat drivers respectfully, our strict policies also make them stick to rules and guidelines, failing which they are penalized. In case of driver owned vehicles, the trend is even more evident. It is more profitable, organized and sensible to attach with Ola. There have been instances when auto drivers in Mumbai sell away their autos, take a loan from the bank to buy a car and attach it to Ola. Do you think that with Ola cabs you are trying to revolutionize the personal transportation industry? What is your vision for Ola cabs in the longer run? Our vision on a long run is to expand our services to every city in India and provide them with access to great transportation across cities. We are already the market leaders in all the cities that we are currently present in. Our business model ensures that drivers benefit from being a part of Olacabs. We hope to continue creating entrepreneurs out of drivers in every city that we go to and help create a platform where drivers can get a consistent source of livelihood. Also, our focus on ensuring that every trip that our customers take with us is a great experience is what keeps us busy and excited every day. We are all about the city and the people. Our customers believe that Ola is a pure play public utility given the consistent quality, convenience and reliability that goes with it. We have a very responsive customer service system that ensures that customers are well taken care of. Also, our city level initiatives like running at auto fares on days when there is an auto-strike or encouraging voters to go to the booths with a free ride – we are very city and user centric on our campaigns. Marketing for us is about doing the right thing for the customer! If you are to attribute Olacabs quick success to just one thing, what would that be? Customer centricity – we are solving a real world problem with the end customer in mind. At the same time, we are also benefiting the driver community at large by helping create a strong business funnel in the already existing infrastructure they have and also creating micro-entrepreneurs in a new way. Technology, great quality of service etc. are elements that play a critical role but with the customer at the centre. Where do you wish to take Ola cabs in the next five years? As far as our cab network is concerned, we are already the leaders in every city that we operate in currently. Going forward, we will go deeper into cities where we are already present. On the other hand, we will rapidly expand to multiple Tier 2 cities to solve the problems commuters face there. Also, staying true to our goal of using technology to solve local transportation problems, we will continue to innovate and add new features that will ensure even more convenient and prompt services for our customers. Technology has always been our differentiator. We will continue to develop solutions to enhance customer experience and make travel a seamless experience. What challenges have you faced while building Ola cabs from scratch, both professionally and personally? Initially, the venture was bootstrapped with our savings. We then raised angel and VC funding. Customer adoption was never a problem given the heavy focus on the customer experience that we take pride in. However, in the beginning, we faced several questions as we explained the benefits of our model to independent taxi owners/drivers. While we started as an additional source of business to cab operators, we have become their primary source of business today with their own business becoming a top-up! The challenges today are more in the lines of available infrastructure like roads, network connectivity etc. We are doing our bit by working with the Government to help solve these in the medium to long term. How do you deal with competition both internal and external, like positioning Olacabs vis-à-vis other dominant players, sustaining a team, hiring right, emergence of new players and other external factors? While we have the advantage of the first move in whatever we do, it is important to stay ahead of competition. Customer centricity helps us in doing this externally as well as internally. When the fundamental belief and intent is right, everything else falls magically in place! Internally, we ensure that the talent we hire is the best in the industry. Culture fit and an inclination to solve a customer’s pain point is critical. This way, we also ensure that new hires get a team that’s as good as them! Given the challenges that we are addressing using technology and the speed at which we are growing in existing cities as well as newer markets, every day is something that we look forward to. We are also a young company giving us the freedom to do away with meaningless processes that don’t hold relevance in today’s times. We focus on solving problems and have fun all the while. That makes the journey for everyone exciting enough to want to stay and come back every morning! We take pride in what we do and that is transcended down to every single team member. From the call center agent who picks up your phone to the techie who’s designing the app or the marketer who’s building the brand; everyone internalizes the fact that everything they do results in someone making it on time – could be to their flights, meetings or visiting family. We do have initiatives in place which ensure that internal communications, employee feedback, product development etc. are addressed. Hack-nights, high volume days, systematic brainstorming sessions – all contribute to bringing in fun at work and keeping the thread of the organization intact. What makes Ola exciting for everyone of us is the real problem we are solving for and how we see results right up there in front of us every morning. The business is challenging and is surely not for the weak-hearted! We look out for the best in class whenever we hire – someone who brings a specialist’s approach in what he does as well as a generalist perspective to take ownership of the larger picture. While that is a challenge to find, we have kept at it and that probably is the secret sauce. We find people excited about taking ownership into the system – that contributes to retaining talent! Internet, especially mobile is changing the consumption landscape this decade. While internet and mobile are only mediums, what lies beyond these is the experience of the customer and the context. Businesses which know their markets, get deeper and ensure that customers who have an unmatched experience will alone survive and win in the long run. How had been your life prior to Olacabs? I worked with Microsoft Research India before we founded Olacabs. While it was a great place to be, the itch to startup made me move on. I spent less than 2 years in the corporate world before Ola. So most of my pre-Ola memories are those of IIT days! Tell us more about your personal journey. Did you always want to be an entrepreneur? I belong to Ludhiana and both my parents are doctors. As I pursued Engineering at IIT, I was exposed to the entrepreneurial ecosystem quite a bit. I always wanted to start something of my own. I have always used cabs and had a few unpleasant experiences in the past, mainly on the reliability of available services. This set me thinking about using technology to iron out issues in this industry. While my career at Microsoft was going good with me filing 2 patents as well, the itch to startup took over. Here was a real problem at hand and technology in our minds could change the way the world moves! What does a typical day in the life of Bhavish Aggarwal look like? I start my day with a dose of emails and clearing up things for the day ahead. Meetings – both internal and external keeps me busy through the day. It is difficult for me to sleep without finishing on work – so I generally retire late. Ola keeps me busy almost throughout the week. When I’m not working, I’m mostly in a cab! I spend considerable time reading and coping with industry trends, working out and occasionally cycling in beautiful terrains! 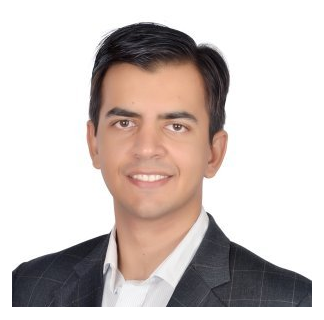 Bhavish Aggarwal is the Co-Founder & CEO of Olacabs.com – India’s largest cab network with over 9000 cars! As a co-founder, Bhavish drives the company’s vision and manages customer and partner relations. He graduated with a B.Tech in Computer Science and Engineering from IIT Bombay in 2008 and worked at Microsoft Research for 2 years after that. He had a wonderful time there, filing 2 patents and publishing 3 papers in International Journals. But the entrepreneurial itch was too hard to resist and he decided to quit his job in August 2010 and moved to Mumbai to start Olacabs! When not talking to Cab operators and customers, Bhavish loves cycling and playing squash and most recently spent a whole week cycling in the beautiful Nilgiris! He also enjoys photography and maintains a photoblog.